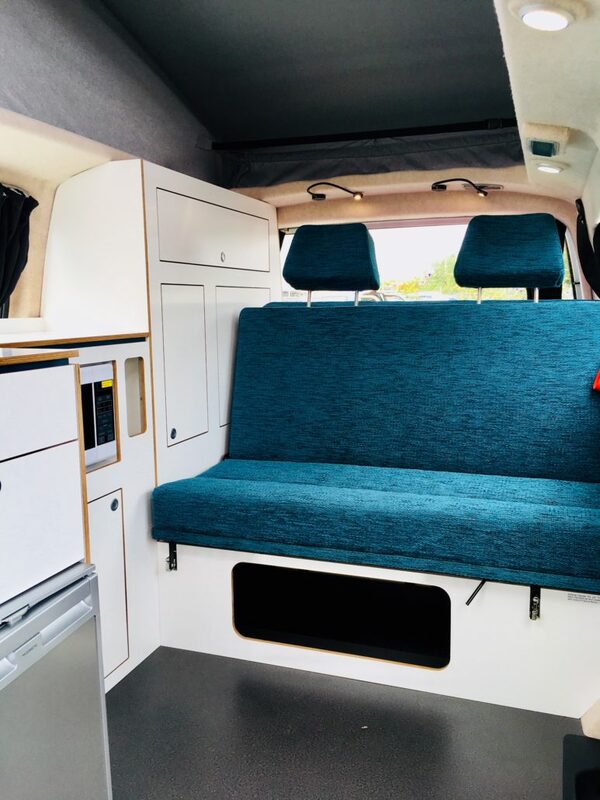 Each of our campervans for sale are one of a kind, in the features they include and the colour combinations we’ve carefully chosen. 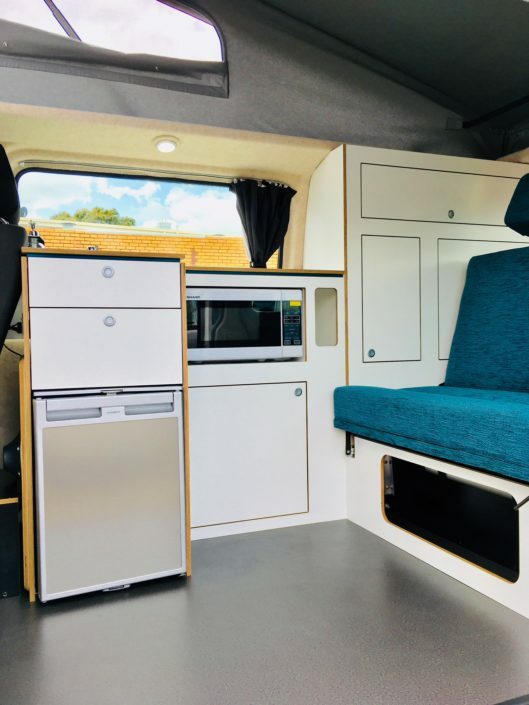 Similarly, every campervan conversion is built differently to suit its owner’s individual travelling style and taste. 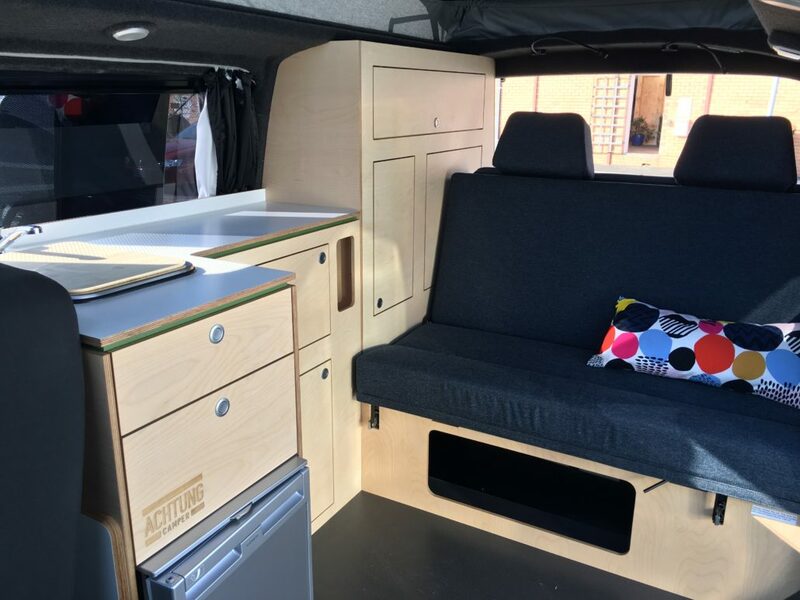 Contact us if you’d like to see some more pics of any of our vans. Want an Achtung Camper? Order your new VW T6 through us for minimum fuss and maximum discount. You’ll get to choose your campervan features and the materials and colours used. Choose the colour of your cabinetry, upholstery fabric, interior carpet, flooring and curtains. Time poor? 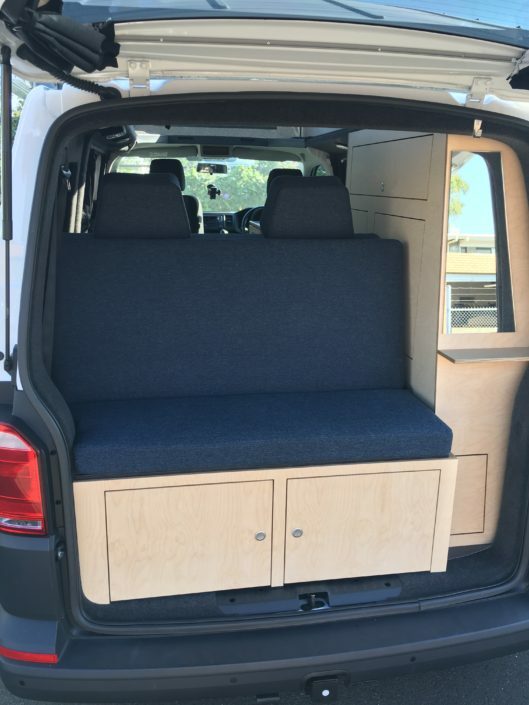 Drop by and purchase one of our campervans for sale.